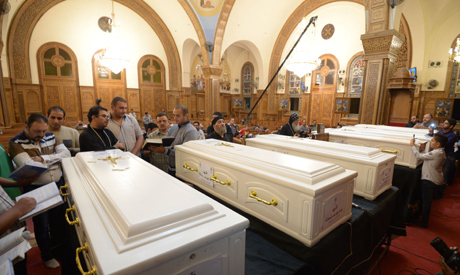 Egyptian police have killed 19 gunmen involved in an ambush that killed seven Coptic Christians south of Cairo two days ago, the interior ministry said. The attack, the latest in a series of assaults targeting the country's Christian minority, was claimed by the Islamic State group, according to the group’s Amaq news agency. Christians make up around 10 percent of Egypt's 97 million predominantly Muslim population.